Caribbean Lifestyle Media-if you thought Serani was done, "him just a come". 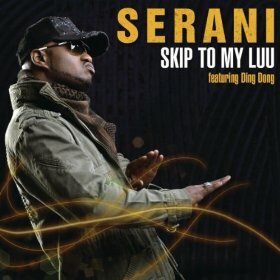 Serani is busy taking his career to higher heights and it is evident by his song "Skip to my luu " featuring Ding Dong and Razz n Biggy, being added to Hot 97 Radio in New York City day rotation. You may remember other smash hits from Serani such as "No Games ". Through his management Serani told us, "it really is all about hard work and I've been putting in the groundwork over the last two years, constantly being out there on the road. We've been working Skip for a while at radio and now its paying off. HOT 97 always shows Reggae and Dancehall a lot of love and kudos to them for introducing Dancehall records to the mainstream."